Sandi King (vocals/percussion) and Joshua Taylor (vocals/guitar) are the core of San Diego-based band King Taylor Project. As original artists they write, record, and perform original music; as entertainers-for-hire they perform a mix of curated cover and original music to suit private, corporate, and non-profit events. Available formats range from acoustic/electric duo to large band. 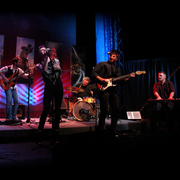 The KTP band roster consists of recording/touring pros fluent in soul, blues, jazz, rock, folk, "formal" music, and the great musical traditions of the American soundscape. KTP has loads of experience playing in a wide variety of environments, from quiet and understated to energetic and raucous. They always aim to be easy to work with and as helpful as possible for any event. Hello and thank you for viewing my page. 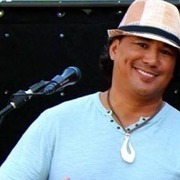 I specialize in Hawaiian/Island style music from Fiji to Ka'au Crater Boys, Jack Johnson, Bruno Mars and Jason Mraz. A softer reggae most would say. I create entire songs on the fly by looping and recording live. I start off by recording the drums then piano, bass guitar and then singing and playing ukulele live. Hope you like my videos and have a great day. See you soon!